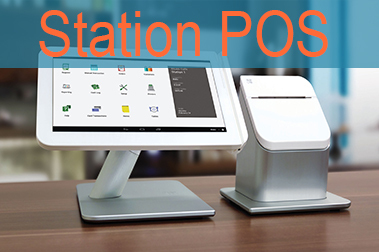 Clover Station arrives pre-loaded with everything you need to accept payments and run your business more efficiently. Its cloud-based software enables you to manage your inventory, track revenues, and generate reports—empowering you to see inside your operations and work smarter. Clover Mobile include powerful cutting edge hardware and software, the most advanced payments security technology around and more. And, because every business is unique, we’ve designed them with flexibility in mind, so you can pick the combination that’s right for you. Designed with your convenience in mind, featuring Clover Mini bring together cutting edge hardware, state of the art security, beautiful design and more, so you can spend more time doing what you love and less time looking for the right tools to run your business. 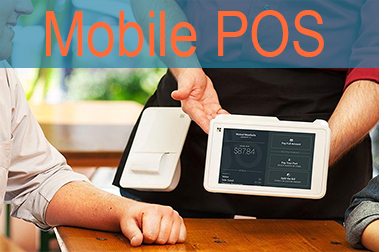 With state-of-the-art point of sale device options for every kind of business, end-to-end security for every transaction, and access to the largest — and growing — App Market around, First Data Solutions deliver it all. 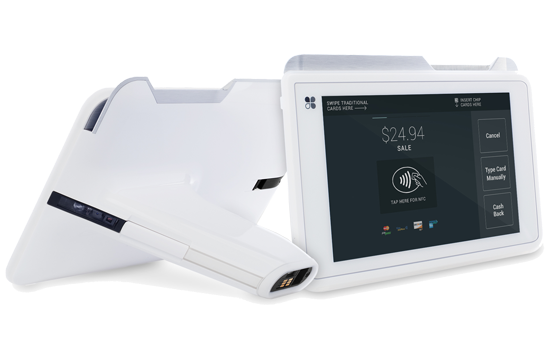 With three sleek, sophisticated payment acceptance devices to choose from, you can accept more payment types than ever. Whether it’s contactless, standard stripe cards, or EMV®, First Data Solutions give you and your customers more convenience than ever. TransArmor protection is built into every First Data Solution. It’s everything you need to keep your business, reputation and customers safe. TransArmor starts protecting your business information from the moment you swipe your customer's card, making it hard for hackers to steal sensitive information. Hardware and software monitoring alerts you of any potential breaches. And our liability waiver helps minimize your risk in the unlikely event of a breach. There are multiple First Data Solutions configurations, and all of them include Perka Punchcard and Insightics Lite — free, powerful apps designed to help you attract and retain the most important part of your business — your customers. And when you’re ready to do even more, you can access more advanced versions of both Perka and Insightics through the App Market. 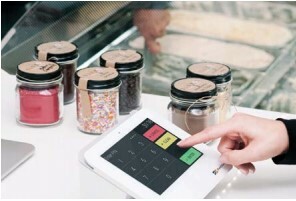 With every sale, the Clover Solution automatically tracks inventory and builds a transaction record. Customers can opt-in to loyalty programs so you can start building lasting relationships and drive repeat business. Software updates are automatically delivered to your device, so you’ll always have the latest version and the strongest security features. We've engaged some of the top industrial designers to create a product that's custom-built for point of sale. From the fluid motion of the credit card swipe to the high-end finishes we choose, the Clover Station is built to perform as good as it looks. You'll get a touchscreen display, a high-speed printer (which doubles as a power and connectivity hub), and a cash drawer. Optional accessories allow you to further customize your Clover Station. Exponentially grow your system’s capabilities by adding Apps from the ever-expanding Clover App Market. This incredible flexibility ensures that Clover Station can evolve with your business for years to come. The power of Clover in the palm of your hand. 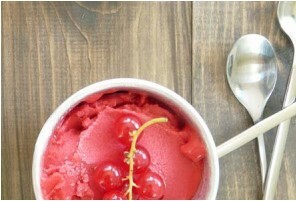 A full-featured POS in a pint-sized package. Clover Mobile is much more than just a credit card reader. You get all the business-building features that Clover is known for, the ability to add optional applications to customize your system, and cloud-based data storage. 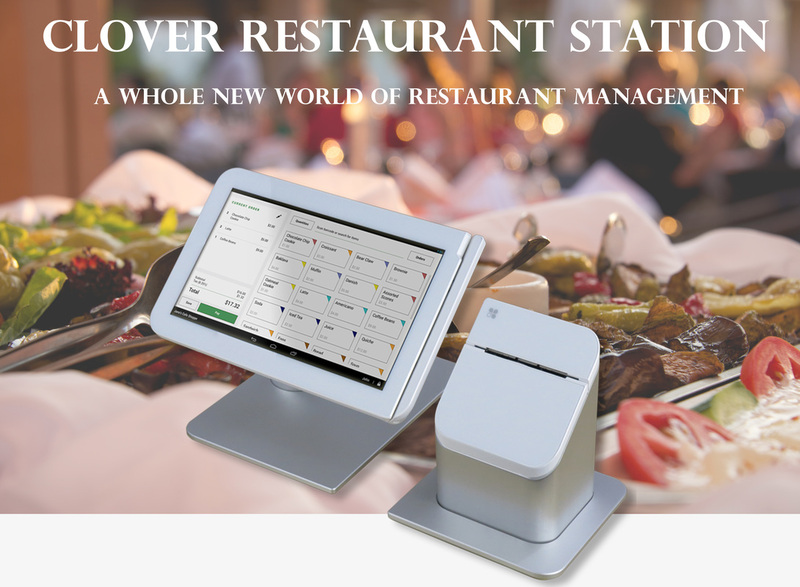 Mini Clover POS - With 3G Connectivity! Keep it simple – or ramp it up. looking for the right tools to run your business. 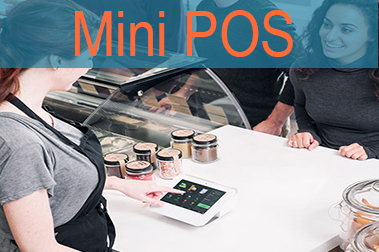 First Data Solutions and the next generation of payment terminals – Clover Mini. More payments, more power… less clutter. Crowded counters and busy days are no big deal for Clover Mini. This cool little device is easy to move and frees up valuable counter space to use as you need. You can even mount Clover Mini on the wall. Fortune Receipt: This app will print random fortune quotes on the bottom of your customers receipt, similar to a fortune cookie, minus the cookie. This app is great for any business owner who wants to increase customer retention by providing a customized receipt. Balance Inquiry: Allow customers to look up the current balance of their credit or debit cards. Bar Tab: Specifically for businesses that run credit card authorizations whenever a tab is opened. Authorizing a card lets you know it has enough funds without charging a specific amount. When you're ready to charge a final amount, you can close the bar tab to complete the payment. Custom Qty Discount: Instant Quantity discounts. All discounts are automatically synced between all Clover machines owned by a single merchant Id. Support for Cyclical discounts. Email help@appheaven.us with your custom discount need. We've designed this app to serve as a platform to quickly add new custom quantity discounts (where possible). Phone Sale: Process payments for card information that you receive over the phone. Using this app for phone sales allows you to enter additional address verification information that helps prevent fraudulent activity. Transactions: View and search current and past card transactions. Quickly reprint receipts or refund a transaction. Look up a specific payment by searching or simply scanning the barcode on the receipt. You can also review all your payments by device, employee or tender. EBT: Process your customers' Electronic Balance Transfer (EBT) cards. Most government assistance programs use EBT cards (instead of paper coupons) to distribute all cash benefits, such as unemployment, grocery and housing assistance. entered yet. Look up a specific payment by searching or simply scanning the barcode on the receipt. Order Display: More payments, more power… less clutter. Crowded counters and busy days are no big deal for Clover Mini. This cool little device is easy to move and frees up valuable counter space to use as you need. You can even mount Clover Mini on the wall. Refund: Refund all or part of a payment to a customer. Used with the Employees app, you can specify who can and can't provide refunds to customers. Sale: Process multiple different payment types like credit, debit and gift cards and issue the appropriate receipts for those payments. Customers can tip & sign on paper or on screen, depending on your preference. Order Inspector: View and print a report of all orders for your own records or for external auditors. This report shows all orders created from that Clover device (including payments) on the current day and can be printed to your receipt printer. Voice Auth: Sometimes, when processing a customer’s credit card, you may be asked to retrieve an authorization code over the phone. Using this app, you can enter in this authorization to complete the sale (sometimes called a “Force Sale”).